We’re big fans of D3’s epic alien ant murdering series, Earth Defense Force and how could we not be? Using overpowered weaponry to decimate giant insects and giant buildings alike is exactly the sort of thing we hoped gaming would allow us to do when we first picked up a joystick all those decades ago. 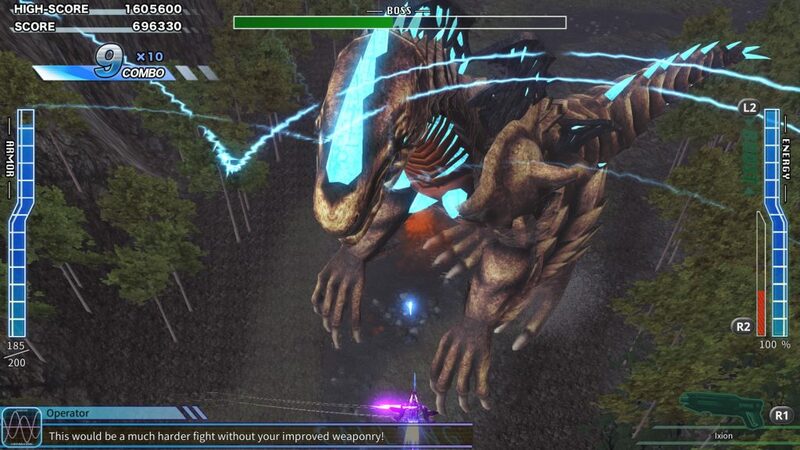 In preparation for December’s incoming fifth proper Earth Defense Force game, D3 have snuck out this little curio. Wing Diver The Shooter is, as the name suggests, a shoot ’em up based on the best character class from the series. In case you’re not familiar, the Earth Defense Force (or EDF) games have you picking a class and then grinding up health and weapons so that you can survive the five difficulty levels the games offer. And when we tell you that ‘Hardest’ is actually not even the hardest level of difficulty and that that is actually ‘Inferno’ then you’ll understand that these games are no joke. It took me the best part of 600 hours to max out Earth Defense Force 2025 on the Xbox 360 (the PS4 follow-up Earth Defense Force 4.1 was basically the same game, just slightly remixed) and much of that was grinding. So as we said, this game focuses on just one of the character classes from that game, the Wing Diver, a female air-based unit that uses great manoeuvrability and heavy duty weaponry to decimate the alien forces but instead of a being a third-person, free-roaming shooter this game is a take on the classic vertically-scrolling bullet-hell shooter. The EDF games are known for their wide array of weapons to collect and this game is no exception. As you play through a level, you’ll occasionally pick up green weapon crates. These give you new guns (if you survive the stage). The harder the difficulty, the more likely it’ll be a good weapon. These come in six categories – particle cannons, short-range, homing, electroshock, laser, ranged – and you get to equip two in your loadout that you switch with the button. Experimenting with these guns is great fun but as with the main series, you will find your favourites. Initially though you’ll just have to make do with a basic particle cannon and a short range gun. 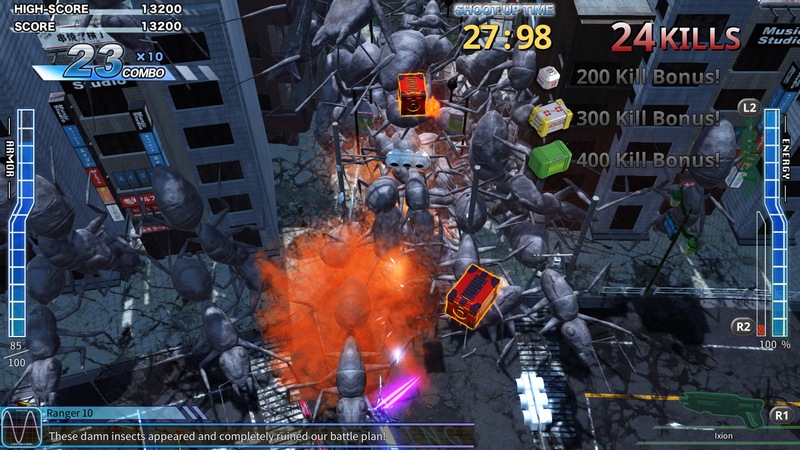 As you embark on the game, you’ll start in the city clearing the streets of massive hordes of giant ants. These will occasionally fire back but as the game progresses that firepower will increase until you’re in pure bullet hell. 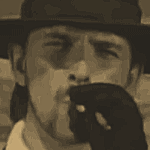 Occasionally the action will stop before initiating a ‘shoot up time’ section where you have to kill as many enemies as possible in order to earn health and weapon bonuses. These sections are suitably hectic and rewarding to play when you get a slightly better gun and can start chasing the top prizes. After that you’ll generally go back to the normal action before facing off against a boss that punctuates the end of each level. 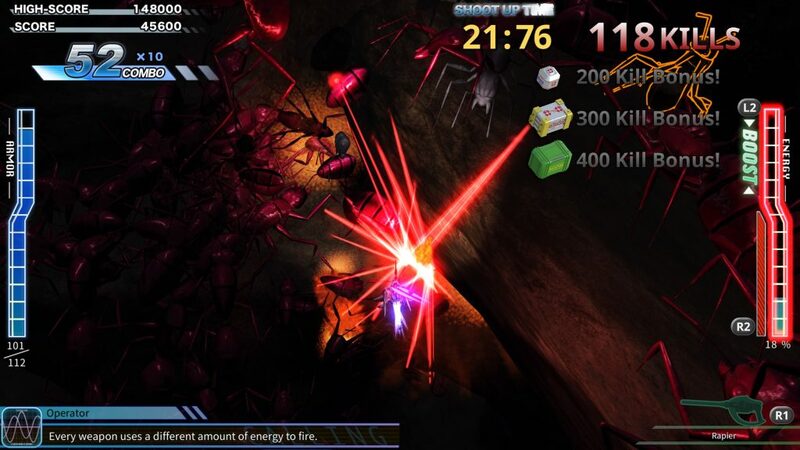 Now where the EDF games generally have lots of levels, this game only has six which is a surprisingly low amount and given that they are pretty short, you’ll have seen everything the game has to offer pretty much within thirty minutes. However, given the roots it has, the emphasis is on replaying stages at harder difficulties to earn those hard to get weapons. The progression isn’t quite as easy as the main EDF games because usually with them there will be a stage that you can play on a harder level that is survivable but here the step ups in difficulty are pretty harsh and so you’ll occasionally need to grind up your armour by replaying the stages you can already beat or, if you’re lucky, earn a weapon that puts the odds in your favour. If this title had been cheaper, the lack of levels might not have been such a big issue but for £18.99 we are right to feel that this doesn’t offer great value for gamers. 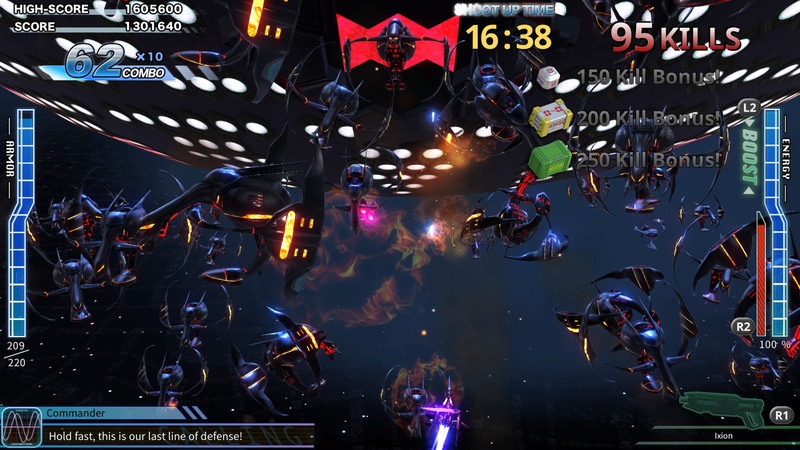 Earth Defense Force veterans will enjoy the new perspective on the insect-maiming action and all the big bosses that you know and hate from the main series are here but grinding isn’t fun and it never has been. The core game mechanics are okay for sure, although you do feel like your enemies are a little detached from the action because they seem to be on a different plane to where you’re shooting (but still get hit), but there are better shoot ’em ups out there that do all of this a lot better so fans of the genre may be less well catered for than fans of the series. Also, visually it lacks the epic scale of the other EDF titles. Sure, the enemy numbers are there but with that disconnected feeling, nothing feels as visceral here as the main games. Also the levels of detail and boss designs are underwhelming when viewed from this game’s perspective. You do still get the ridiculous dialogue and stirring music that you’d expect and this is welcome. In the end though, I’m a big fan of EDF and shoot ’em ups and this is leaving me a little cold. There’s something there in terms of fan service and the weapon options are genuinely interesting but this is a game you’ll want to pick up when it is a lot cheaper. For a start, in Earth Defense Force 2025 (and 4.1) the later difficulty levels genuinely require new tactics and strategies if you want to survive them where as here it’s all just about damage output and armour levels versus enemy firepower. It’s just a matter of grinding until those numbers end up in your favour and while the game controls fine and does give you a sprinkle of that EDF magic, it’s not enough to sustain what is already a fairly anaemic package. Wingdiver The Shooter offers some good EDF fan service and reasonably good shoot 'em up action but is a little too short and lacking in polish to truly recommend.